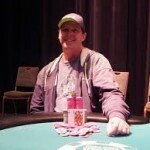 A pro poker player from the United States William Wolf wins his second gold ring at prestigious World Series of poker. 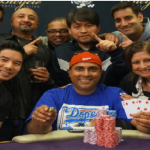 The player won $365 buy-in No Limit Hold’em event at Bicycle casino. This was the first event took place at the casino of this particular season. Total 127 players participated in the game, but it was Wolf who took home the title of the championship as well as the first prize. Nick Guggino was the runner-up of this game who collected an amount of $10,665 from the tournament being second. The heads up deal decided the winner and the runner-up. This was the second gold ring win for Wolf, a San Diego native. His first gold ring was back in 2011, where he won $365 no-limit hold’em six-max event and earned $14,285. He now is in the race to become the casino-champion of this tournament. The Monster Stack started at the same time when a game of $365 buy-in No Limit Hold’em started. It reached the final table in just two hours of play. Greg Pohler was the player who was leading chip counts among all 23 players remained in the business. Two more events were underway in this tournament. 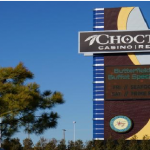 The first one was $5880 buy-in no-limit Hold’em where total 121 players participated and other one was $365 Omaha hi-lo taking place at the same time, where 100 players participating. This current tournament is one of the stops of World Series of poker circuit. A satellite event would take place at 8:30 PM and that would be a $150 buy-in No Limit Hold’em Mega Satellite to $1,675 Main Event (One Seat Guaranteed). Whereas, another event of buy in $180 No Limit Hold’em Bounty will take place at 4:00 PM.